With Parking and Secure Gated Compound. Space suitable for offices, warehousing, workshop and trade counter. 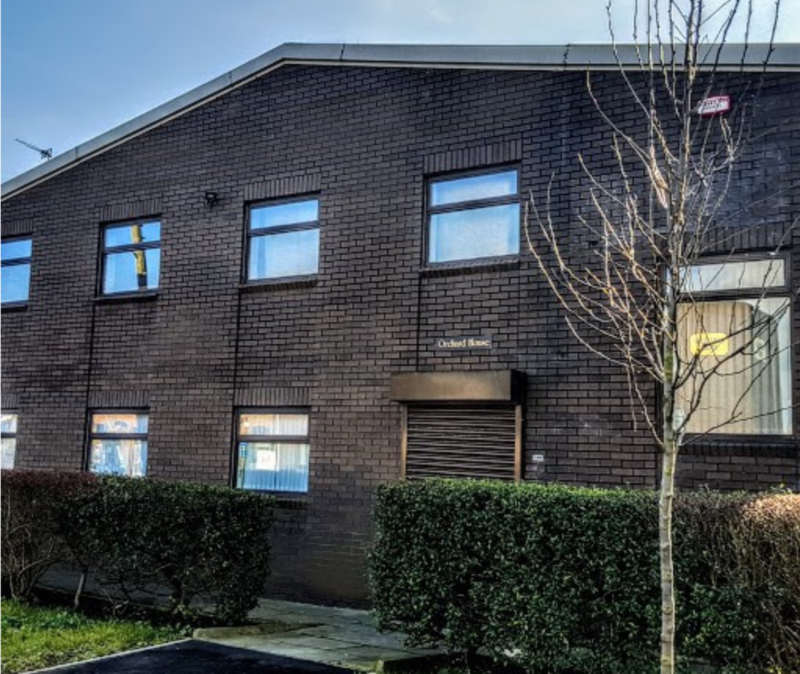 Modern detached brick built unit with reception area to the front and a roller shuttered access at the rear of the building. Reception, Office, Ladies and Gents toilets, Kitchenette and two open plan warehouse/ workshop areas. Will be let on a new Full Repairing & Insuring Lease for a minimum term of 5 years with a provision for upward only rent reviews at 5 yearly intervals. The tenant will be responsible for the Landlord’s legal costs in this respect. £49,000 per annum exclusive of Rates payable quarterly in advance.